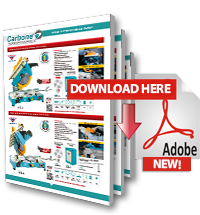 Carbone Costa Rica introduces its new line of machines for aluminum and PVC of European quality, where you can find the largest variety of machinery, saws, routers, retensioners among others to work aluminum. 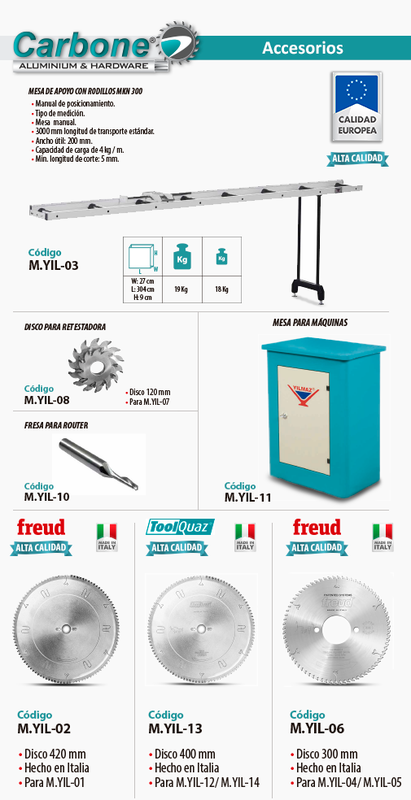 We offer machines with various regulations and features ready to do any job. • From 300 to 420 mm. • For M.YIL-12/ M.YIL-14/M.YIL-04/ M.YIL-05/M.YIL-01/. • 3000 mm long of standard transport. • Useful Width: 200 mm. • Loading capacity of 4 kg / m.
• Min. cutting length: 5 mm.